What a great time introducing MoveStrong to this World Gym crew in Smyrna, Georgia! WorldGym converted a basketball court to a newly dedicated functional fitness training room for their personal training and group training members! This space-efficient design of the room to allowed for a variety of training methods from group functional training to hiit training, and obstacle course training to ninja warrior style methods. 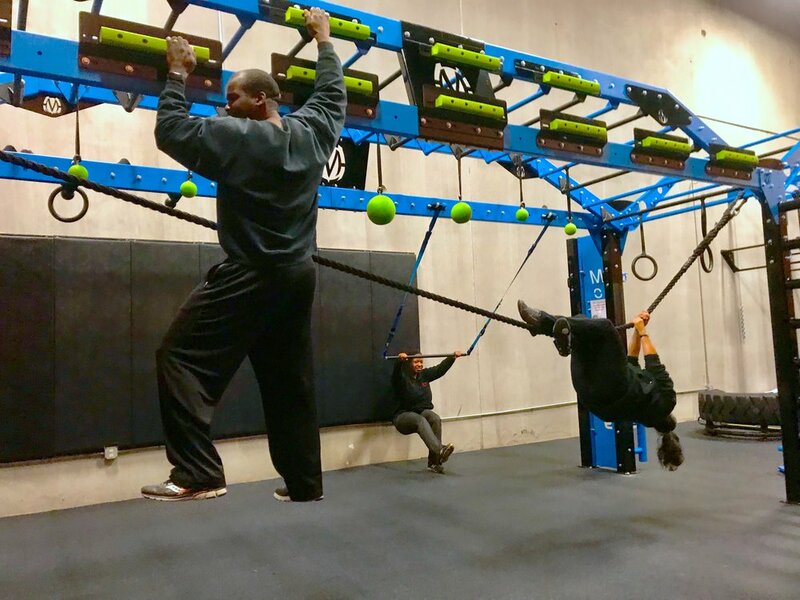 The new training area includes the MoveStrong NOVAXL customized with some new NinjaStrong training features, the wallmount MoveStrong Salmon Ladder, turf lane and sled, fitness storage, and accessories like the M3 Bars and Elevate Trainer! Be sure to stop by if in the Atlanta area and see what’s new with World Gym and MoveStrong!